Prospect Park has provided an escape from everyday city life since the mid-nineteenth century. Although many have focused on this important and enduring function, the park’s varied expanses of meadows, woods, and water were designed to offer far more. Civic leaders viewed the park as integral to the success of the rapidly growing and modernizing city of Brooklyn. They emphasized the park’s social, spiritual, and public health benefits. Civic leaders also wanted the park and its adjacent Eastern and Ocean parkways to shape the city’s development. This would, they hoped, enhance Brooklyn’s reputation as an attractive, healthful, and desirable place to live. 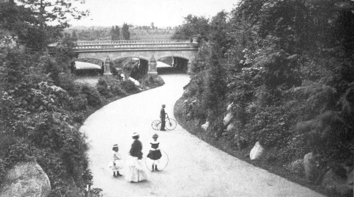 The Nethermead Arches, Late 19th Century. The Park comprises a living, layered history. Additions have been made to its mid- nineteenth century romantic landscape architecture and architecture over the years as design tastes and ideas of recreation have changed. Fortunately, few of these have compromised the Park’s original design, which means that visitors can enjoy a relatively vast, open, unprogrammed space in the middle of one of the world’s most populous cities. Like most public spaces, Prospect Park has experienced cycles of decline and regeneration in relation to the City’s financial health. The Park reached its lowest point during New York City’s budget crisis of the late 1960s and ’70s. 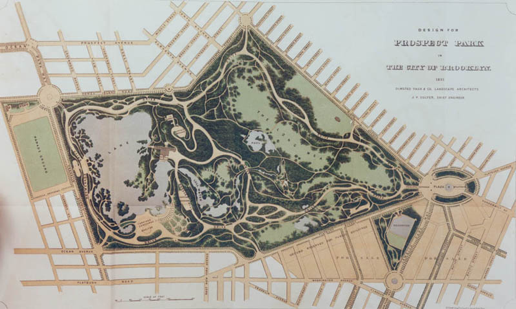 As with Central Park, local citizens formed groups to preserve and restore Prospect Park. 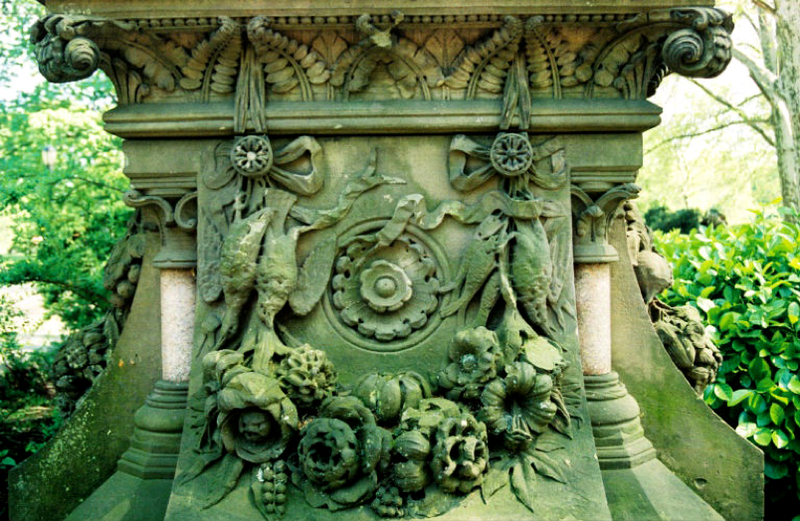 The Prospect Park Alliance, a private-public partnership with the City of New York and the surrounding community, formed in 1987. (It was modeled on the Central Park Conservancy, which formed in 1980.) The Alliance has restored several of the Park’s landscapes, such as the Ravine. It has also restored key structures, such as the Carousel and various bridges and arches. Its most recent project entails a major restoration along a segment of the Lake shoreline adjacent to the Concert Grove.